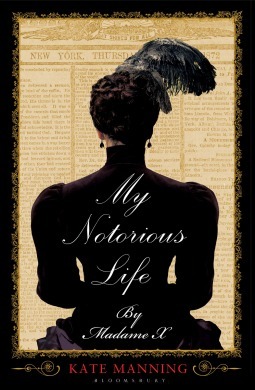 My Notorious Life by Madame X by Kate Manning is the fictionalised account of the story of a midwife and abortionist in the Victorian era. ‘In the end, they celebrated. They bragged. They got me finally, was their feeling. They said I would take my secrets to the grave. ‘Saved’ from poverty by a well-meaning philanthropist, Axie is sent West with her brother Joe and her sister Dutch. But the kindness of strangers is short-lived and soon Axie returns to the city of her birth, separated from those she loves but determined to one day reunite her family. When she is taken in by a Manhattan doctor Axie learns the craft that she will live by – and later fight for. As a purveyor of ‘lunar tonic for the relief of female complaints’ she rises from the gutter to the glitter of 5th Avenue high society, and discovers that the right way is not always the way of the church or the law, and that you should never trust a man who says ‘trust me.’ But what if that man is an irresistible risk-taker with a poetical Irish soul? This is a very powerful and often disturbing book.